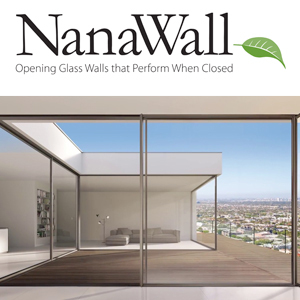 Since many people want the appearance of wood on the inside of their windows without the maintenance to protect the surface of the wood on the outside, the outside of the wood frame is often covered with other materials on the outside. The most popular covering is aluminum. Aluminum is not only the first choice based on aesthetics since it features a smooth surface available in a wide range of colors, but it is strong, light, durable, and easily attached to the wood frame. Although aluminum conducts heat faster than almost any other building material, an aluminum shield over the outside of the window will have little effect on the frame’s thermal performance. The aluminum may be as hot or cold as the outside air, but it will not conduct heat because it is typically separated by a gap from the wooden frame. The aluminum cover (“cladding”) can be connected to the wood in a variety of ways, and additional insulating material may be placed between the aluminum and wood. Tanner. Wood frame windows engineered and built in Europe. Aluminum cladding option. Complete line incls. historic appearance Brooklyn Double Hung Windows, swissFineLine hidden frame windows. 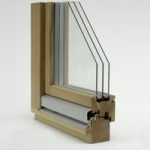 Triple glazing, warm edge spacers, low-e coatings, gas fills, triple seals, multi-point locks, multiple drainage layers. 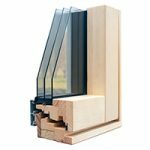 The Bildau & Bussmann Group manufactures and sells superior quality wood windows and doors in Europe, East Asia, and North America.